Customize the app with your priorities! Automating your home is easy! *Requires Automation Packages & equipment; available separately. 2-yr agmt & monthly service charges req'd. AT&T Cert. Like-New Equip. provided. Early termination (up to $50 per package) and other fees, taxes, chrgs and restr's apply. See below for details. 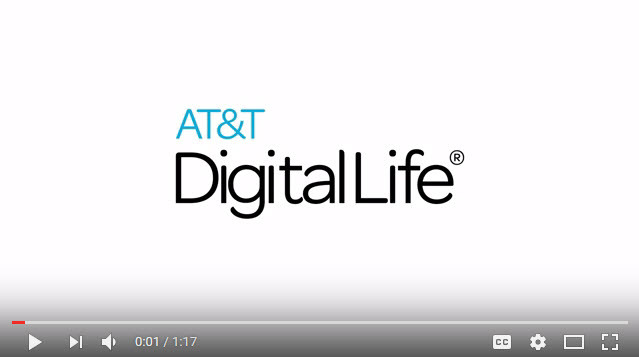 AT&T Digital Life Automation Pkg: Subj. to Customer Agmt. Req's 2-yr agmt ($4.99/mo for Door Pkg; $9.99 for Camera Pkg; $4.99/mo. for Energy Pkg; $4.99/mo. for Water Detection Pkg). Used equipment is fully inspected and tested. Early Termination Fee: After 14 days from install/upgrade, early termination fee of up to $50 applies for each automation pkg. If cancelled prior to or within 14 days of install, all automation equip. must be returned; subj. to restocking fee (up to $25). Svc Restrictions: Smoke sensors not avail. in apartments/townhomes/duplexes. Sufficient wireless signal, broadband Internet, and 3-prong outlets req'd. Equip. may be incompatible with some homes. Prices, features and offers subject to change without notice. Installation performed by licensed personnel where required by law. AT&T Digital Life, 1025 Lenox Park Blvd., Atlanta, GA 30319, 855.288.2727 license info. www.att.com/licenses; AL: 1596, 1599 Complaints against licensees may be directed to the Alabama Electronic Security Board of Licensure, 7956 Vaughn Rd., Montgomery 36116, (334) 264-9388; AR: COMPY.0002238 Regulated by: Arkansas Board of Private Investigators and Private Security Agencies # 1 State Police Plaza Drive Little Rock, Arkansas 72209 501-618-8600; AZ: 18034; CA: ACO 7091 Licensed and Regulated by the Bureau of Security & Investigative Services, CA 95798 Dept. of Consumer Affairs, West Sacramento, CA; DE: 11-190; FL: EF20001090; IL: 127.001502; LA: F1924; MA: 7067C; MD: 107-1716; MI: Regis 8002000003; NC: BPN 007236P3; NJ: 34BX00015200; NV: 78422; NY: 12000297692, licensed by NYS Dept. of State; OK: 1904; OR: CCB 199880; PA: HIC 078833; TN: 1792, 1819; TX: ACR-1793688, C17159; VA: 11-7142; WA: TDIGIDL888DT.